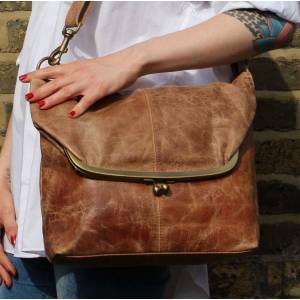 Dublin Medium is a versatile clip bag flapover medium in tan scrunchy leather is 37cms high, 29cms wide and has a pocket behind the front flap and also at the back of the bag. The fittings are made of brass-painted chrome so are light and strong. 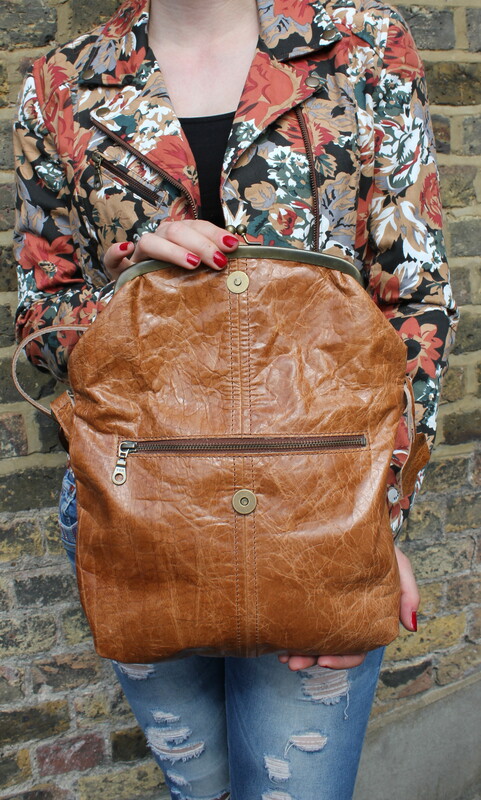 The lining is waterproof and the leather is hand-chosen by us. The pocket inside measures 20cms and the strap extends to 140cms. This bag is adaptable to be a shoulder, cross-body to clutch. 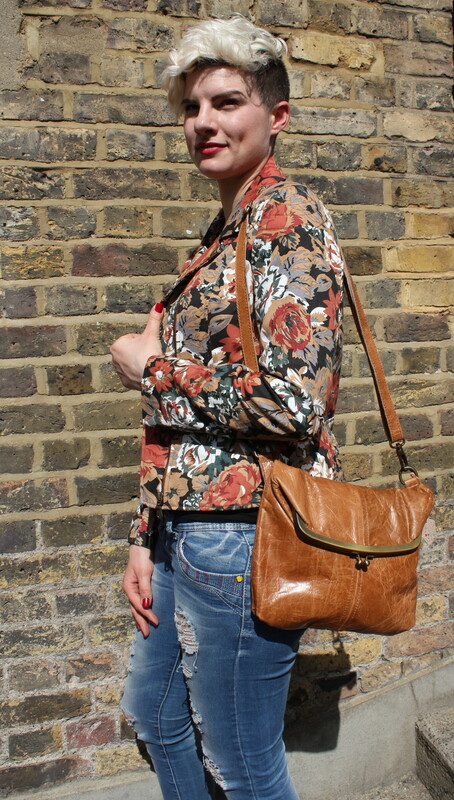 The Dublin clip bag flapover in tan scrunchy leather measure..